The number of teachers leaving the profession has increased as student enrolment around the nation soars, raising concerns Australia could be facing a teacher shortage. A report by the Australian Council for Educational Research (ACER) has found that between 30-50% of teachers leave their profession after the first five years. The number of school students is set to increase 26% nationally by 2022, requiring either more teachers or larger class sizes to cope with the surging enrolments. However, if the teacher-student ratio continues to fall, Australia could face a teacher shortage, posing complications for the Federal Government’s innovation agenda. 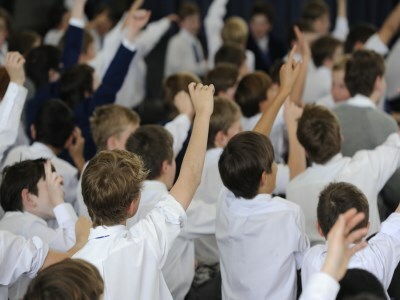 The ACER report estimated that by 2020, an extra 92,000 primary school kids will flow into NSW schools, while Queensland and Victoria were expected to take in more than 100,000 students over the same time. So what can be done? While there have been calls for teachers to be given a pay rise and decreased workloads, is teacher retention really that simple? Dr Merryn McKinnon, a lecturer at the Australian National University (ANU), told The Educator that finding a solution to this issue is complex, but a review of wages and workloads was a good starting point. "There isn't a single, simple solution to encourage teachers to stay in the profession. It needs to start with looking at their wages and workloads and not continually asking them to do more with less,” she said. McKinnon said “all the best professional development in the world” won't be effective unless teachers are supported to implement the teaching practices that they have been specifically trained to do. “Looking after our teachers is an investment in the education and development of our next generations. It needs a whole of system approach, not just band-aids here and there." NSW Principals Council (NSWPC) president, Lila Mularczyk told The Educator it was “pivotal” that teachers in their first few years of teaching received adequate and quality support, guidance, mentoring and induction. “NSW has led the nation thought the Great Teaching Inspired Learning (GTIL) framework and the professional development plans. Newly appointed teachers receive significant mentoring and release time in their first two years,” she said. Dr Phillip Riley, director of the Australian Principal Health and Wellbeing Survey at Monash University, said a lack of job security in teaching contracts in Australia is an important factor that is often overlooked in the debate over teacher attrition. Mularczyk agreed that this was important for individual teachers and for the schools longer term planning. “This of course is another reason why a bipartisan commitment to the Gonski recommendations in real terms is of the utmost importance for all students in schools,” Mularczyk said.